United Artists, Mirage Entertainment, Star Partners II Ltd. The sensible drama about the reunification of two very different brothers and their struggle to stay together. 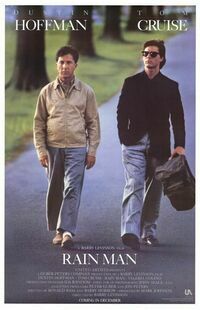 Dustin Hoffman won an Oscar for best actor for his memorable performance as the autistic Raymond.